Bad News for Primary TET 2015 aspirants! Today a set of Primary TET 2015 question papers has been vanished from car while distribution of papers. So, there is a chance of leakage of papers. One bus was carrying the papers for distribution among the different exam centres. But after some while, it was noticed that the windows of that car was broken. The bus was immediately returned to the office of the primary education. The Primary TET 2015 exam is likely to held on 30th August across the state. Around 22 lakh candidates are going to write the TET exam. Now the important question is- will the Primary TET 2015 exam be cancelled after this incident? Will it be conducted on schedule? The matter will be cleared when the Higher Education minister of WB will discuss on it. So, we have to wait for few hours. 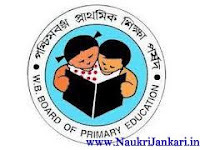 0 comments for " WB Primary TET 2015 Question Papers Leaked "